Donald Trump's first interview at President elect. 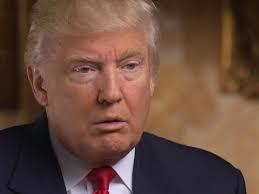 The interview with 60 Minutes took place at Trump Tower in New York on Friday and was broadcast on Sunday evening US time. Speaking to CBS News reporter Lesley Stahl, Trump suggested some of what he had promised on the stump over the past year would be toned down, while other pledges would soon be put into practice.